From water pollution to toxic chemical use and textile waste, the growth in the fashion industry has come at a huge cost to the environment. Join us as we explore the contributing factors and consider what we can do individually and collectively to improve the problem. Organized in conjunction with Nature’s Nation: American Art and Environment and made possible by the Lowell Institute. All programs included with museum admission. Shop our curated selection of vintage and upcycled fashion and accessories from local vendors and find the next treasure to add to your sustainable, eco-friendly closet. 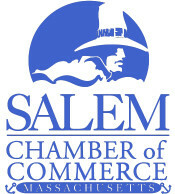 SalemRecycles and HELPSY join forces with PEM for a one-day textile drive. Drop off your old pieces in the container outside the museum’s entrance. Textiles can be in any condition, as long as they are clean and dry. In return, receive a free pass to visit PEM’s exhibition Nature’s Nation: American Art and Environment. Join Alexx Shaw, owner and artisan of VARDO, to learn about the importance of using all-natural products on your skin. Choose from flowers, roots, teas, herbs and spices and leave with a unique bath salt made just for you. VARDO, a Salem-based company, creates vegan and sustainable beauty products free from chemicals. Meet Kate Black, author of Magnifeco: Your Head-to-Toe Guide to Ethical Fashion and Non-Toxic Beauty, as she shares ways to go sustainable with your clothing, footwear, makeup, hair products and more. Book signing and reception follows. Jewelry artist Kate Luchini of Digs Enamels invites you to transform your beloved broken pieces of jewelry, vintage earrings or abandoned buttons into something new. Tools provided. The price of clothing has been decreasing for decades, while the human and environmental costs have grown dramatically. Directed by Andrew Morgan, this groundbreaking documentary pulls back the curtain on the untold story and asks us to consider, who really pays the price for our clothing? 92 minutes, 2015. Do you have a favorite shirt or pair of pants you no longer wear because of a missing closure, rip or tear? Bring some of your pieces into the museum and learn simple sewing techniques to help you mend your favorite garments! Zoya Derman of Zoya Designs in Somerville leads this sewing workshop. All programs included with museum admission.